The Indiana State Fair runs from August 5th-21st, and is basically Disneyland with cows. And tractor parades. 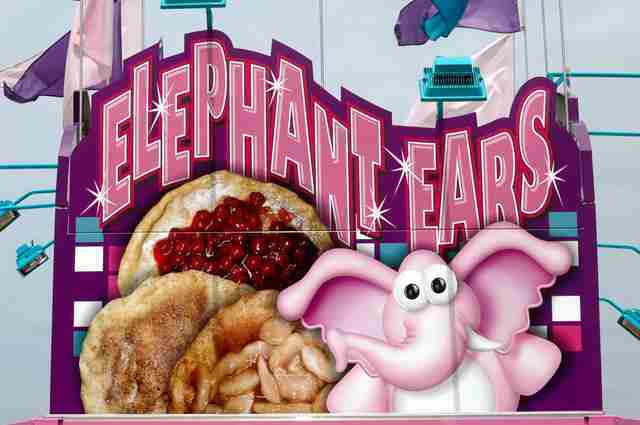 And fried foods. And old rock bands you thought were dead. 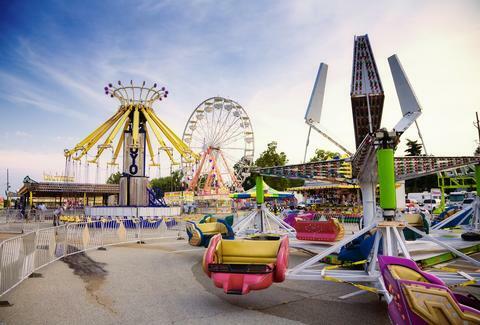 If this sounds like all the trappings of Midwestern fun, check out these completely essential, totally not random fair facts you’ll have to see to believe. The Fair has occupied its sprawling, near-Downtown campus “only” since 1892, but the festivities began way back in 1852. Back then, the first edition took place in Downtown Indy -- or what passed for Downtown at the time -- making the Indiana State Fair the sixth-oldest in the country. Visitors can vote on the concessionnaires’ top culinary creations at the A Taste of the Fair competition, but don’t expect any arugula to top the charts. Nominees include BBQ pulled pork beer cheese fries; bison cheese steak rolls; deep-fried s’mores; and hot beef sundae. If you’re looking for subtle interplays of spices and ingredients, look elsewhere. The price of admission also gets you into concerts at the Indiana State Fair Free Stage. This year’s musical grab bag includes Blues Traveler, an ABBA cover band, and, for some reason, The Bacon Brothers. 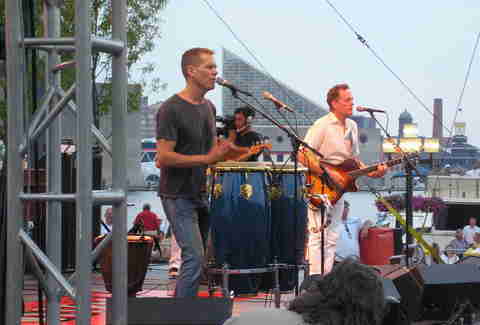 No, they didn’t just shove “bacon” in their name (because bacon makes everything better) -- it’s actually Kevin Bacon (of Footloose fame) and his brother Michael (of no discernable fame) jamming together like they have since 1995. Partake of the weirdness on Aug 13th at 7:30pm. Most days at 6:30pm, the farmers in attendance will fire up pretty much every antique tractor on the property (spoiler alert: there are quite a few) and drive them straight through the most crowded section of the grounds. 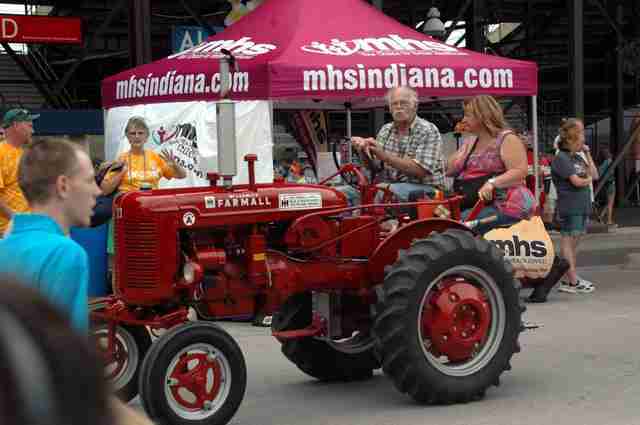 It’s a salute to Indiana’s agricultural heritage, and also to the amazing fact that they’ve done this parade for years and so far no one’s been run over. Knock on wood. The Indiana Beer, Wine & Spirits Exhibit showcases the wares of dozens of Indiana brewers, wineries, and distillers -- most of which are available for tastings and sale by the glass. If you want some culture with your buzz, try the Taste & Create program. For $35 (fair admission included), you can sample local beers while painting a picture -- using soybean-based acrylic paint, of course. Every year in the Swine Barn (an actual place you can visit, though you might want to hold your nose), you’ll find a minivan-sized male pig weighing in excess of 1,000lbs. He doesn’t move around much -- perhaps because his testicles are roughly the size of basketballs. 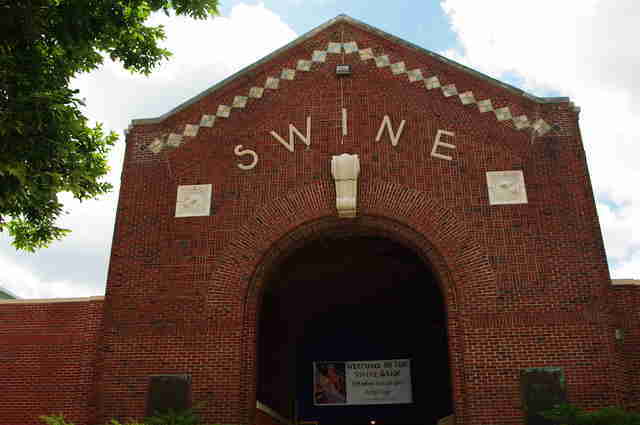 Actually, “barn” doesn’t do justice to the massive buildings housing cows, pigs, chickens, sheep, rabbits, llamas, and other furry creatures. Be advised that the kids minding the livestock sometimes pass the time by tying rubber spiders to fishing lines, attaching them to poles, and then deftly perching them on the shoulders of passersby. (This, of course, is hilarious when it’s not happening to you.) This prank has been slaying ’em since the ‘60s. The 1860s, that is. 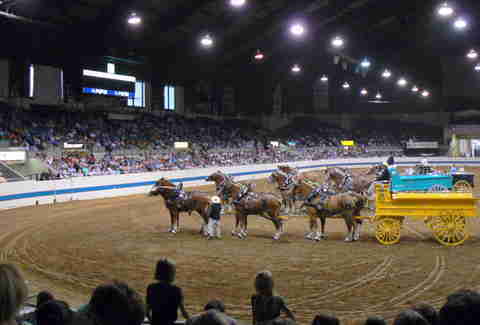 There's an absolutely insane number of horse shows at the Indiana Farmer’s Coliseum. Seriously, if you go in there and don’t see a horse show, alert the authorities. The horses did take a break once for The Beatles, who performed at the Coliseum during their skinny-ties-and-bowl-haircuts period (approximately 1964). The innocuous structure was formerly called the Better Babies Building in the ‘20s and ‘30s, where parents could have their offspring judged for physical and mental fitness as if they were livestock. Eugenics was big at the time, and Indiana was waaaaay into the idea of using selective breeding to produce children free of “defective” social and behavioral traits. This practice was discontinued once the Nazis came along, and the building was put to better use. Remember that quaint little building with a dark history? It’s now a soda fountain! 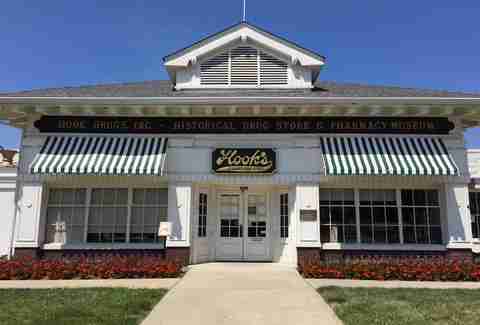 Open year-round, the Hook’s Drug Store Museum offers a startlingly comprehensive assortment of old-timey candy and a full-service soda fountain. The extremely gregarious volunteer staff will happily jerk you a Green River or a black cow or any number of other fizzy drinks that you’d be getting very excited about right now if you were 70. Each day at the Fair brings multiple chances to watch little boys with buzz cuts and cowboy boots, and little girls with pigtails and cowboy hats, struggle to coax hilariously uncooperative sheep, pigs, cattle, goats, chickens, and llamas around show rings. Have your phone ready for action in case things go south. The folks at the Purdue veterinary exhibit perform live spayings and neuterings of dogs and cats inside a glass-walled surgical suite that’s literally sitting in the middle of an exhibition hall. There are even benches set up so passersby can take a load off and watch poor Tabby get her tubes tied, if you fancy that sort of thing. Sam Stall is an Indianapolis-based writer who definitely plans to try the hot beef sundae at this year's Indiana State Fair -- even though he can't begin to imagine what it looks or tastes like.